Gujrat state which has been highly acclaimed by across the nation. Another triumph has been added to the state’s development glory with India’s highly equipped digital village which is an hour outside Ahmedabad where the anganwadis have CCTVs and schools have audio-visual teaching aids. 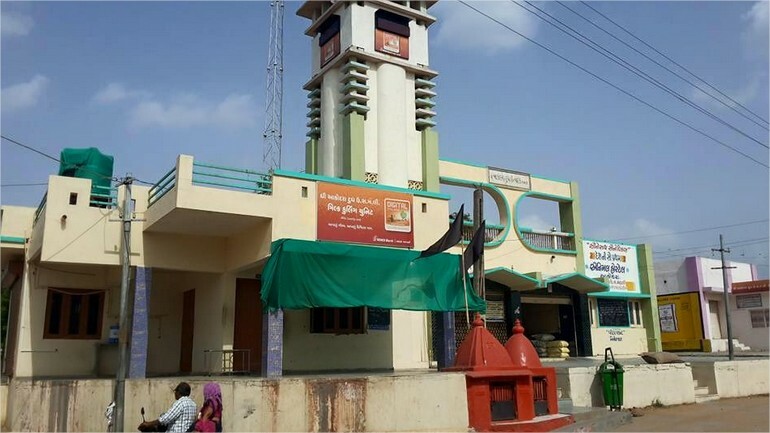 An hour away from Ahmedabad, Sabarkanta District Akodara village would leave people with amusement which has fully equipped bank ATM’s and CCTV-monitored Anganwadi. Perhaps Akodara village is the only village in the nation which has all modern digital facilities as similar to the urban cities of the nation. A visitor and traveler to the village would be disported after finding a the accessibility of paying the money through the mobile phones in Akodara village for the clueless city people. Akodara village is fully supported with the WiFi which would leave you to go online get connected with desired web portals and social networks. Akodara village of Gujarat’s Sabarkanta District stands out as the clear illustration for the high-profile launch of the Digital India initiative which is aspired make the rural India digitalised. 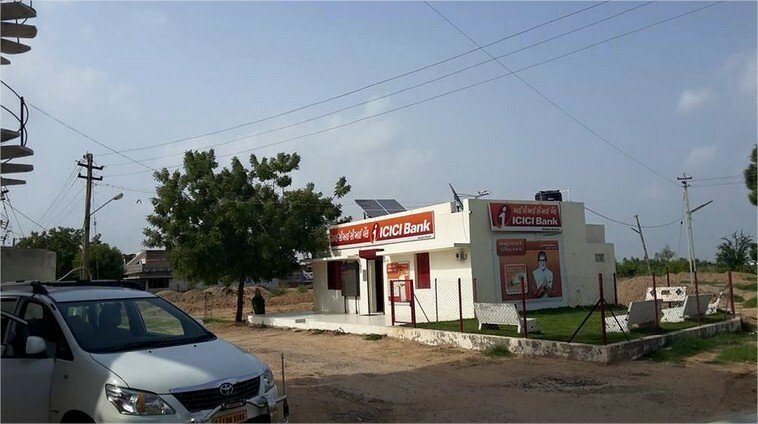 Akodara village populated with 1,200 people has been adopted by ICICI Bank and helped by the local administration in attaining the financial inclusion and showcased as an example of the bank’s vision of the digital future that awaits India’s hinterland. ICICI bank gone all out to showcase their vision in Akodara with many initiatives such as adorning the village entrance archway with the ICICI logo, improving the modern banking to the villagers to installing CCTV cameras in the village Anganwadi and in schools. Installation of CCTV cameras may seem to be a bit gimmicky while many other initiatives of the bank have proved to be useful and potentially revolutionary when imagined on a large scale across whole districts and regions in the country. Official records of the Akodara village state that almost every adult of the village has savings bank account with ICICI accessed through the local bank branch, or the village ATM, or through mobile phones via SMS. 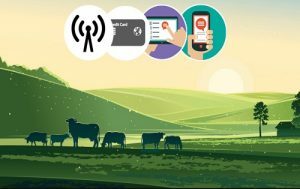 Villagers are going and adopted in the cashless transactions while selling agri-produce at the local mandi or selling milk at the co-operative society. Villagers have been enlightened and believe that adopting the cashless transactions would minimize and downplay corruption and fraud in the society and schemes of the government. Bank accounts of the villagers have been linked to their Aadhar cards, which means that government benefits are now transferred directly into their savings accounts. The direct transfer has made the job of the widows of Akodara to receive their monthly pension of Rs. 800 who earlier used to spend Rs. 70 to travel to the district headquarters to receive it. Akodara village high-school teacher Pranav Upadhyay said “Earlier, teaching used to be between just the teacher and the student. Now we have a digital aid. Earlier when I used to talk about the universe to the students, it was just talk. Now they see it animated on the screen and it gets them interested and more engaged.” Mr. Upadhyay says that digitalisation with audio-visual device integrated with a projector and a computer has brought life lessons in science, chiefly through animation. 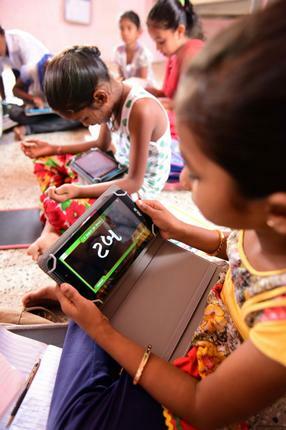 Akodara village primary students are using the electronic tablets gifted by ICICI to learn Gujarati redefining the education in the village. Added to this parents of the school students would be updated via SMS with a digital attendance system whether their children have shown up at school or not which is proving to be an important safety initiative apart from practicality. the major reasons behind ICICI choosing Akodara village was its better physical connectivity of roads and transport where Flipkart products come to Akodara on a highway that connects the village to all the urban centers around it. Added to this literacy rate of the village was far better than the rest with which made ICICI bank to choose the Akodara village. ICICI bank strategy in choosing the Akodara village clearly indicates that if other socio-economic indicators are good and the basic needs of the village are already met in an environment then it would be an easy path for governance the administration to build a digital future. Kudos to the efforts of Akodara village and ICICI bank for empowering the rural India. Stay tuned with us for more upcoming events and updates which are trending and happening across the globe by bookmarking us pressing Ctrl+D in your keyboard for easy navigation in web browser.